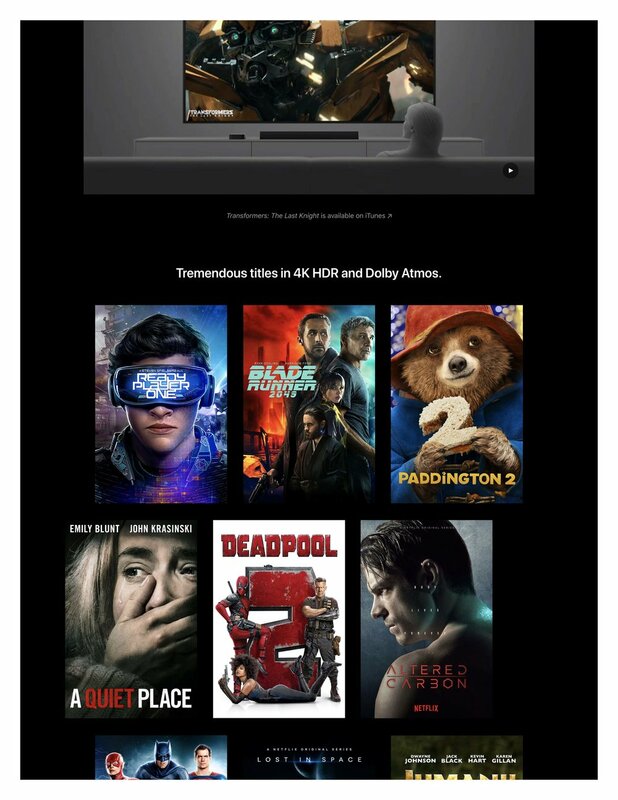 Once a year, I have the honor to work directly with Apple on key product launches with their in-house interactive team at Apple headquarters in Silicon Valley. I am proud to help brand and launch the defining products of our time with a company that consistently changes the game and pushes the boundaries of creativity and possibility. 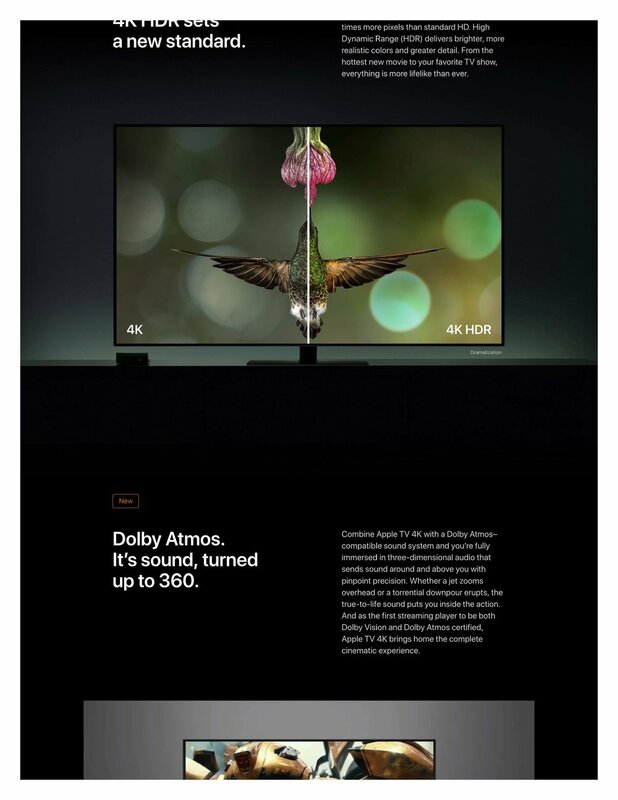 Work includes copy decks for Apple TV 4K site and the Apple TV homepage: concepts, content & UX strategy, writing, and editing. 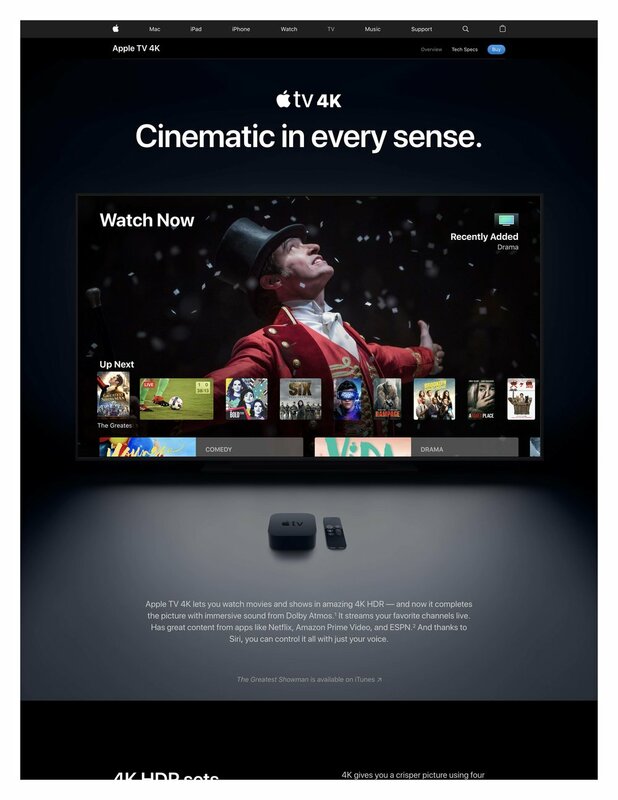 *Click on the images below to be directed to the Apple TV 4K webpage.